Can Your Heater Handle This Winter? The last thing any homeowner wants is a freezing home. If you are cautious, you’d always want to have your heating unit regularly maintained, but it’s sometimes impossible to predict when you’ll need repairs. Scheduling regular HVAC maintenance will help solve any potential or current issues before you go through another cold night without heat. If you choose not to have your furnace regularly maintained, you are likely to void the manufacturer’s warranty. In fact, when your heater breaks down and you do not bother to have a professional look at it, you might have to repair or replace your entire heater, which will end up costing you more. If the filters are not regularly inspected, they can restrict air flow, and this puts a lot of strain on the motor fan, which can eventually lead to overheating or equipment failure. There are also high chances that your indoor air quality might be drastically reduced and this can aggravate asthma, allergies and other illness. Although most manufacturers recommend that you should have your heating unit filter changed every three months, it’s not a bad idea to check them on a monthly basis to see whether they are filled with debris and dirt. This prevents dust and other subtle substances from circulating in your home and maximizes your furnace’s airflow. Also, regular replacements protect the critical parts of your heater that might end up causing unexpected damage and hefty repair costs. Apart from the three-month maintenance cycle, you should have a yearly routine inspection to keep your HVAC running like new. If you abide by the manufacturer’s requirement regarding servicing and maintenance, you will hardly run into issues. That being the case, if you have any concerns regarding your heating unit or want it checked for any potential problems, you should get in touch with an HVAC expert and schedule an appointment. Most of the residential heating systems have a lifespan of between twelve to fifteen years. However, your heating unit will have an even shorter duration without proper preventive maintenance. Therefore, scheduling an annual heater tune-up is the best way to ensure that your furnace is working optimally. If you experience any issues at the heart of the season, it’s best if you immediately contact an HVAC technician to attend to the problem as soon as possible. That aside, if there is a prediction of harsh winter then it’s best if you contact a professional to inspect your heating unit beforehand. Winter is one of the seasons you don’t want to be caught off guard especially when it comes to keeping your home warm. Therefore, if you take note of these precautionary measures, you shouldn’t have to worry when the cold season approaches. 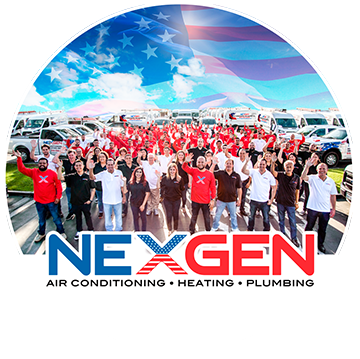 At NexGen Air, we provide you with extensive HVAC services for your home and business. In addition to cooling and heating services, contact us today to get more information regarding maintenance and installation of your water heaters and other electrical components.